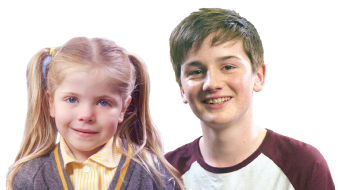 At Kip McGrath Salisbury East we have tutored nearly 1000 local Salisbury children! Bas Brown is the centre director. Bas has twenty five years experience in teaching including seven as a headmaster. He has previously set up and run a Kip McGrath Centre and has a wealth of educational knowledge and support for the Kip model of tuition. Our aim is to provide the best specialist facilities and professional tuition required to help your child realise their true potential in English, reading, writing, spelling and mathematics. Your child will be given all the benefits of active teaching from fully qualified teachers who enjoy helping students learn. Our tutors individually tailor work programmes to suit your child’s needs . We specialise in 11+, common entrance, GCSE English and GCSE maths preparation classes and provide a safe, supportive and stimulating learning environment, utilising the latest educational and computer resources.